Crown Oil is a fuel distributor delivering any type of fuel and lubricants throughout the UK. We are also red diesel suppliers in Exeter. Red diesel can be used in several business sectors including the public and private sector, such as commercial, industrial, agricultural, and the construction industry. This low duty form of diesel is used in machinery as well as for heating. To order red diesel call us on 0845 313 0845. Our sales team is always here to help. 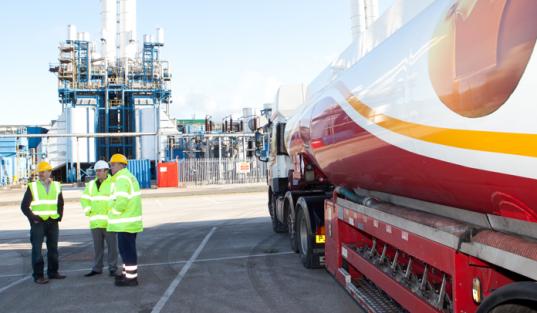 If you need red diesel in an emergency, we can arrange a fuel delivery within hours to any required location. Are you sick and tired of paying excessive fees in Exeter? Electricity companies are just constantly raising their prices for heating your homes. It has become an economic uprising in the prices of electricity in Exeter. Take back what money is rightfully yours by dropping your electricity heating systems now. But without an electric furnace, how will I heat my home and keep my family warm? The solution is simple. Just use red diesel. Red diesel in Exeter is extremely cost effective. Red diesel, commonly known as generator fuel, or medium diesel, is extremely efficient when heating a home. Since you are located in the beautiful area of Exeter, you are also close to some of the largest diesel suppliers in the industry. Being close to a fuel distribution plant, allows you the luxury of non-costly fuel. And where there is a distribution plant, there is always a surplus of red diesel. Now that you know your prime location, what is beneficiary of switching your method of heating, besides cost? Think of red diesel as a clean and brighter future. Red diesel has an advantage over electricity in almost every category imaginable. The fuel isn’t costly like electricity, saving you thousands of dollars every year. The heat output of the diesel suppliers fuel is considerably more than with electrical heating units. Red diesel also is eco-friendly and doesn’t create smog and pollution like electricity, which requires toxic coal burning. The last advantage to red diesel is the most important one. Red diesel is always available when you need it. If there is flooding, snowstorms, or earthquakes, power lines could rupture. If you do not have electricity you won’t be able to provide heat to your loved ones, or cool suitable environments for children. So go ahead and take advantage of your rare location, and make the switch to red diesel today.